Doorbell Cameras that Work with Google Home: What are my options? August started back in 2012. Their product of choice is the August Doorbell Cam. Aside from Google Home, the camera is compatible with August Smart Lock. The video resolution is 960p HD and the view range goes as far as 140 degrees. Other features include two-way talking, motion sensor, and livestream. What else can it do? The August Video Doorbell and August Smart Lock can be unlocked from the same app. The downside is that the low-light vision. Also, the motion sensor and cloud storage are in beta. Another thing to keep in mind that some users reported having spotty connectivity issues. Camera can be found on Amazon. Ring is also company that was started back in 2012. Their product of choice is Ring Video Doorbell Pro. 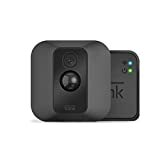 Aside from Google Home, the camera is compatible with Wink, Kevo, Lockstate, Kisi ADT, and Wemo. The video resolution goes as far as 1080p HD and the view range goes as far as 160 degrees. The night vision is infrared LED. Other features include two-way talking, motion sensor, and livestream. One more little treat to the Video Doorbell Pro is that the home owner can customize their motion zones. Easier time to cover more ground. 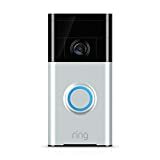 The downsides are homeowners cannot adjust the camera itself and there have been user complaints about lag time between the doorbell ringing and the phone being updated. Camera can be found on Amazon. SkyBell was first founded in 2013. They have the SkyBell HD for their camera of choice. Aside from Google Home, the camera is compatible with Frontpoint, Link Interactive, Protect America, LiveWatch, Alarm.com, Nest, Alexa, and Echo. The video resolution goes as high as 1080p HD and the view range goes as far as 180 degrees. Other features include two-way talking, motion sensor, and livestream. Another feature of this camera is that it has an in-app 5x pinch zoom. The downsides are there have been complaints of glitchy motion detection and there is no app for Windows device users. Camera can be found on Amazon. Vivint was started back in 1999. They have the Vivint for their doorbell camera. Aside from Google Home, the camera is compatible with the Vivint Smart Home System. The video resolution goes as high as 720p HD and the view range goes as far as 180 degrees. Other features include two-way talking, motion sensor, and livestream. One more feature that the Vivint has is smart visitor detection. The downsides are that it requires a Vivint home subscription looking for information online will not help. The user has to call the company if they have questions. Camera can be found on their website. For any more information, visit the Protect America website.